A few days ago, I trialed the kiwano melon to see how it went over with the crabs. Unable to find it on hardly any food lists, I went ahead and trialed it, knowing that it wasn't necessarily deemed safe or unsafe. However, there was no evidence proving that this food was unsafe for hermit crabs, and I have to say that my hermit crabs most likely agree. The kiwano was eaten a bit, but it definitely wasn't a huge favorite in my tank. If you're looking for exotic fruits for your crabs, stick to pomegranate, mango, kiwi, and the like. 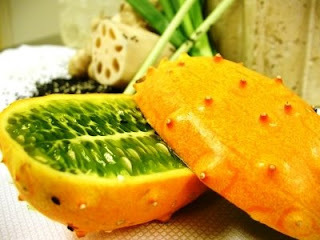 The kiwano was not a very interestinting food for my crabs*. *Trial was conducted on fresh and three-day old kiwano. Dried kiwano may produce different results with land hermit crabs. On a side note, I've tried a new lettuce with the crabs and they seem to like it. It's called escarole. I also enjoy it with a bit of vinegar! 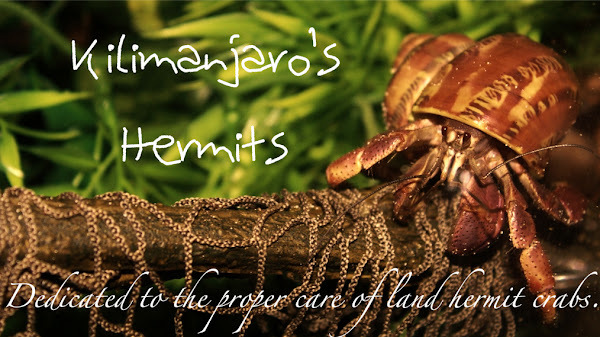 It's always a good idea to offer leafy green vegetables with land hermit crabs because they can boost calcium and other vitamin levels in your land hermit crabs. 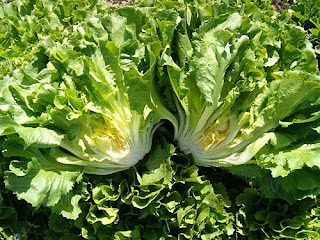 There is, however, a debate about oxalic acids (how's that for a big word) which bind to calcium sources, so this is a potential problem for leafy greens. 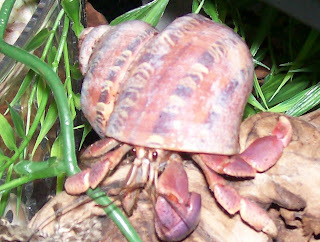 Observing a land hermit crab's diet in the wild would be great in order to see if they eat leafy greens. Then, finally, the myth can either be proved or busted!